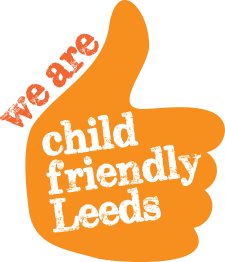 PRIMARY SCHOOLS ENTERED: Holly Bush- West SILC, Ingram, Highfield, Brodetsky, Broomfield- South SILC, Ireland Wood, Oulton, Farsley Farfield, Hunslet Moor, Hunslet St Marys, Christ Church Upper Armley, Guiseley, Bramlet St Peters, Pudsey Bolton Royd, Hill Crest, East SILC, Valleyview, Pudsey Waterloo & Five Lanes Primary. SECONDARY SCHOOLS ENTERED: Temple Moor- East SILC, Broomfield- South SILC, Prince Henrys, Cardinal Heenan, Abbey Grange, Leeds City Academy. The event also gave pupils an extra opportunity to experience a new environment, meet new people and in some cases try athletics for the first time. MASSIVE ‘Thank You’ and ‘Well Done’ to all children who took part!! I wanted to place on record my thanks and appreciation to Abbey Grange & Leeds City College - Staff- Martin Parker and Sports Students, for Supporting the running of the Event. Their enthusiasm, support and hard work had not gone unnoticed with schools and SGO Staff!! Excellent Job!! Without Their continued support the School Games & School Sports Partnership it wouldn't be the success it is! !